William H Macy’s Krystal is an overly quirky, tonally uneven, coming-of-age story, with a very talented cast. There is not a strong sense that it knows what the story it is telling is supposed to mean or how its audience should feel about it. However, it is occasionally entertaining in spite of itself, mainly due to its oddness and the acting. ​Krystal, about a young man who falls in love with a recovering drug addict, is a dramedy whose drama is continuously undermined by the silliness of its comedy. The tonal shifts are so large that it becomes pretty difficult to take anything seriously after awhile. Nearly everyone in the film, whether major or supporting, has one or two major traits that define them. These are used as a replacement for depth. It is a little off-putting, but Krystal does not slow down enough to really get to know them anyway. That pace is actually one of the more enjoyable things about it. You do not have time to be sufficiently confused or annoyed by any individual scene or line because it is immediately on to the next thing. ​The protagonist is eighteen-year old Taylor, who becomes infatuated with the title character the moment he sets eyes on her. 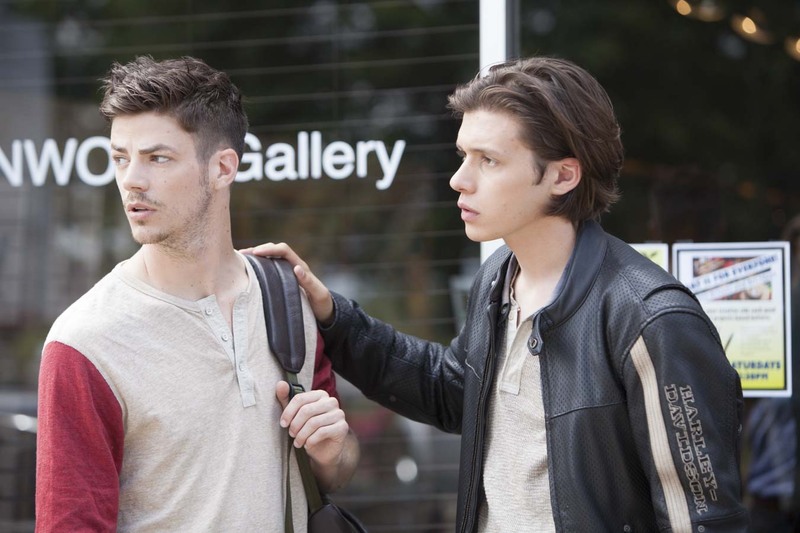 He is played by Nick Robinson, who played the title role in the tremendous Love, Simon. There, he played a three-dimensional character, whose struggles were easy to relate to. Here, his charm is wasted on the flat and inconsistent Taylor. He is basically a collection of tics. He can be smart or dumb, nice or self-centered, all depending on exactly what the screenplay requires at that specific moment. It makes it a challenge to believe anything he does, but Robinson perseveres the best he can. 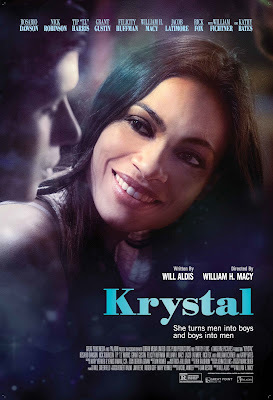 ​Rosario Dawson fares slightly better as Krystal. Her main purpose in the film is to help Taylor find himself, but she gets to play someone who truly seems like they could be a real person. Unlike almost every other character, she is more than just the sum of her traits. Krystal has clearly lived a complicated life and is already trying to be a better person before she walks into Taylor’s life. She does not get to develop as the action goes on, which blunts the effectiveness of Taylor’s arc; however, even on the surface, she is a lot more interesting than anyone else in the movie. ​With Krystal, William H. Macy tried to tell a fairly straight-forward story in a somewhat over the top way. The result is a film that is tremendously unfocused. It ends up missing the mark, despite a strong cast, all of whom do solid work here. That being said, its missteps are what help make it entertaining. It is so strange that it becomes hard to predict what is going to happen next. It is not good, though I cannot completely dismiss it, either. There are some amusing moments and I was never bored, but it never fully coalesced into something worthy of a recommendation.